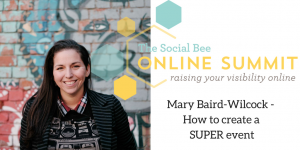 The Social Bee Online Summit is all about helping you to raise your visibility online. It’s a three day long virtual summit for entrepreneurs with 16 incredible speakers talking about the different ways to connect with your audience and grow your business. 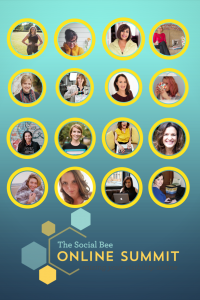 From branding and blogging, to YouTube and Instagram, I have brought together some amazingly talented (all female!) entrepreneurs who want to share their best tips and advice with you. 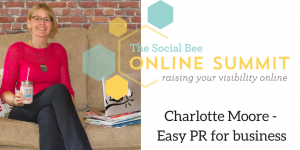 After realising that small business food producers have the least amount of time and money but need the most amount of help, Charlotte Moore created an affordable PR membership to help them boost their brand presence. The Smoothie Bar helps fab foodie start-ups do their own responsive PR in 10 mins a day for only £49 per month, while getting coverage in big names like BBC Good Food, Telegraph, Metro, Huff Post, Top Sante, Evening Standard and The Independent. 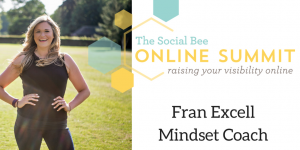 Fran is a certified mindset coach who helps successful women like you get out of your own way and get rid of those mindset gremlins stopping you getting your dream side hustle off the ground. 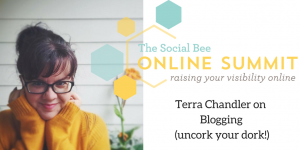 Terra Dawn is the owner and writer of the Uncork Your Dork blog and the Wham! Bam! Business Plan! membership site! Both sites are dedicated to helping small business owners in their first few years of business, launch and grow multiple subscription revenue streams. She’s dedicated to helping bloggers find their unique voice while growing a business they can love and NOT lose sleep over. Sign up today for your ticket! Over the years Tracie has grown her Facebook page to a following of more than 635,000 people. Pinterest and Google are now the top referrers to my site. With traffic higher than ever as a result, Tracie’s income is going up. 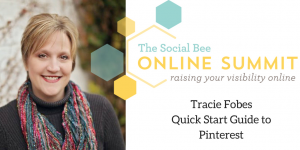 Tracie is going to share how she uses Pinterest to grow her traffic and her business. Tracie currently has over 100,000 views per month on Pinterest. 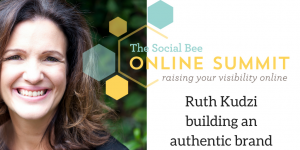 Ruth Kudzi is a qualified Success coach, speaker, and blogger. She is obsessed with personal development and has a BA in Psychology & Management Studies, an MA in Psychology, a PGCE in Business Economics and a PGCERT in Coaching alongside lots of other qualifications. 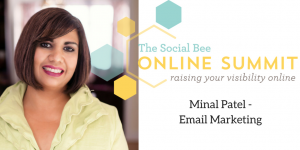 She built a six-figure business on maternity leave and is now a multiple business owner. Her passion is empowering other women to start up and develop their dream businesses. 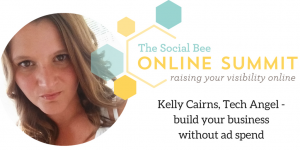 Kelly aka The Tech Angel has been running her own award-winning online business for the past 11 years and has had the pleasure of working with clients such as Universal Studios, large music arenas, TV personalities and Hay House Authors. She work with ladies every single day who want to move their offline business to a successful online business, making money through their website and social media, and mainly without spending endless of hours trading time. Debbie aka Debbiedooodah started her business in 2013 as a single mum after fighting cancer. She’s spent all her time since supporting women to create profitable businesses. 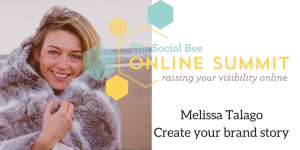 She runs the Blue Stockings Society for entrepreneurial women, podcasts at Women Who Create and has coached over 150 fabulous women in business to get to grips with online marketing, so they can share their gifts with the world. 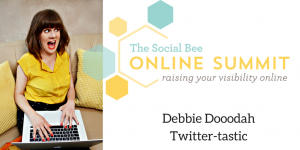 Debbie’s approach is no fluff, actionable tips that you can start to implement today! 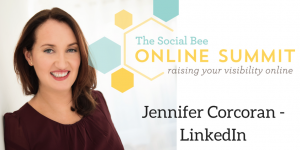 An award-winning social media consultant, Jennifer helps professionals and entrepreneurs to polish up their online profiles and connect with finesse. Jennifer is a big believer in connection, collaboration, and community and is the Founder of #LinkedInLocal Croydon. 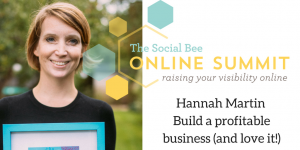 Hannah Martin is the founder of Talented Ladies Club and a small business and careers expert. 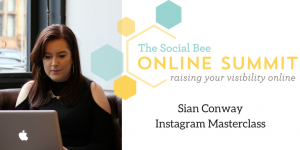 She regularly appears in the national media, on TV and radio and leads workshops for Country Living Magazine, Mumsnet, Mums Enterprise and more. A passionate advocate of women in business, Hannah is a member of the All Party Parliamentary Group (APPG) Women in Business and a mentor for Natwest Bank’s Entrepreneurial Spark programme. Hannah is also an award-winning copywriter and digital strategy consultant, with over 21 years’ experience in the advertising industry, and a qualified psychotherapist, hypnotherapist, and NLP Practitioner. 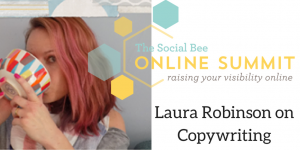 Laura helps business-builders attract customers using the words on their website. She has written over a million words of copy for websites, blog posts and social media content while working as a digital copywriter. And now she helps entrepreneurs write their own online content using her courses, templates, and blunt-yet-constructive feedback. 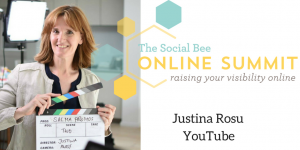 Justina has a 4-year thriving Video Production Company specialising in filming food, creating video content for Tate & Lyle, Activia, Actimel and other household names, and a PERSONAL BRAND business supporting entrepreneurs in the online world. Now more than ever before using video in your business is essential, the rewards that come from effectively using video will UNLOCK YOUR DREAMS. Follow me as I put into practice all I know in my own personal brand. 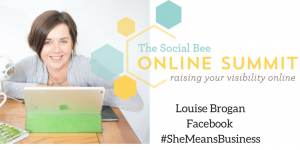 As one of the UK’s accredited Facebook trainers, I have been working with entrepreneurs to help them build a business online for the past three years. After 11 years working with technophobes in the Health Service, my skill set lies in making the complicated simple. Straightforward, easy to understand. I am passionate about helping entrepreneurs to raise their visibility online in order to make sales and have a growing income. A stellar lineup, I am sure you will agree. Don’t miss out – snag your seat today – from the comfort of your own home – you can watch all 16 experts and their videos at your leisure for only £97!